Never thought I will be visiting one of my favourite countries so soon after my last trip in Nov 2015. It was totally unplanned. All thanks to my aunties and cousin who initiated the idea, my mom who suggested I plan the trip and my dad who is funding a huge part of the expenses, I’ll be off to the winter wonderland of Hokkaido this coming December. Settling the first of the triple ‘A’s turned out to be more stressful than I expected. Air tickets for 10 cannot be booked online! The maximum number is 9 for Singapore Airlines. Even calling customer service proved useless and I was advised to visit the ticketing office. So I sought the help of a travel agent friend. Even then, she could only reserve 6 tickets, so I had to settle my family’s online. We did the booking simultaneously, she on her computer and me on my laptop, to make sure all 10 get on the same flight. With air tickets taken care of, next was accommodation. I did a quick research on a few blogs, namely bumblebeemum (she’s really good), and charted out a rough itinerary that will cover 14 days. Then it is back to the internet to check out travel reviews on suitable hotels. By suitable, I mean mid-range, not more than $150 per night, definitely non-smoking, so business hotels are generally out. And with a group of 10, it is much easier if meals are provided, unless we are in the city where there are lots of food options. Another thing I looked out for in hotels is whether they have coin operated washer and dryer. I like to travel light so that I have more luggage space for souvenirs but I also want to wear fresh clothes. The solution is to find hotels at appropriate intervals to do laundry. For this trip, the hotels on the 3rd (Tsuruga Wings), 6th (Tomamu Tower) and last 4 days (Hotel Sunroute Sapporo) have the facility. The final criteria unique to this trip is hotels that have available and affordable parking space. 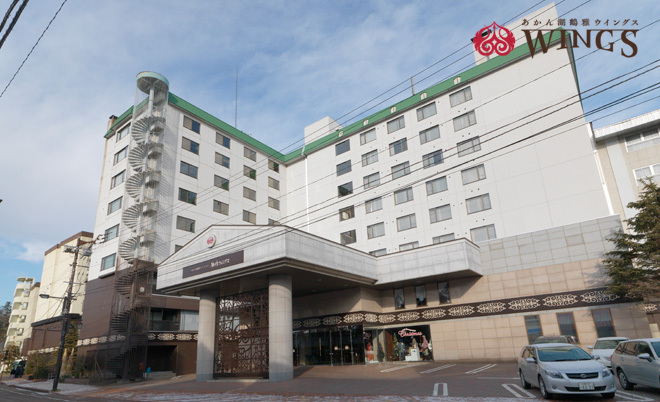 Most of the hotels I chose, especially the onsen ones, have free parking. The rest in towns like Furano, Kushiro and Obihiro have ample parking lots and cost around 600 yen per day. After reading about the expensive parking rates at Otaru and Sapporo, we decided to return the cars once we reach Sapporo and travel around by trains. A note about car rental. If you are thinking of hiring a Toyota Hiace van or something similar that can sit 12 passengers, you will need a Class 4 International Driving License. Since no one in my group has it, we decided to rent 2 SUV instead. The final ‘A’. The one that is the most fun to plan. The one that covers things to see, to do, to eat and to buy. For this trip, I found a very helpful blogger, K.K. Although her last post was in 2014 and some of her recommendations have closed down, most of the content on her blog are still valid and supported by bumblebeemum (who visited Hokkaido for the 5th time this June!). Another useful source of information is from a Japanese who is passionate about Hokkaido. His website is called Good!Hokkaido!. Reading his profile reminded me once again the dedication of the Japanese to their country, their culture, their craft. There’s definitely less information on Hokkaido in English, compared to Tokyo or Osaka or Kyoto. Often, I have to rely on Google Translate to navigate the Japanese websites. I did, however, discover a Chinese based website dedicated to Hokkaido free and easy travel called 樂吃購北海道 (literally means happy, eat, shop Hokkaido). It’s pretty good but really test my Chinese reading skills to the max. In the midst of doing my research for this trip, I checked out the internet to see how I can improve on my travel planning skills and came across this interesting article by Tripit. I followed its advise and created an inspiration board on Pinterest. I currently have 17 boards in my Pinterest account under Cindy Lee, each featuring either a place or an attraction. Here are some examples. I’m currently finalising my itinerary and updating my travel plans on this blog. Do let me know if you have any comments or suggestions. I offer personalised travel planning services. Do drop me a message on this blog or email cinleehan@gmail.com. Do contact me if you need help in your travel planning.